This means I have the opportunity to take more photos of the steps I missed last time. 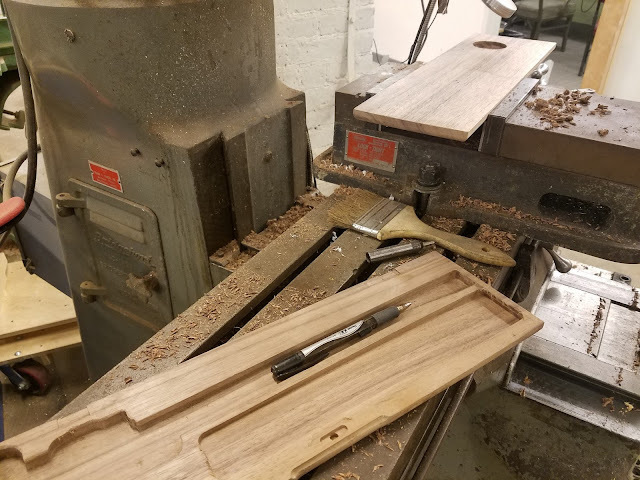 After milling out the calipers profile, etch-a-sketch style and seating the tool in the bottom half, I traced out the remainder on the top blank. This one needed a void for the round bezel-dial and not much else. 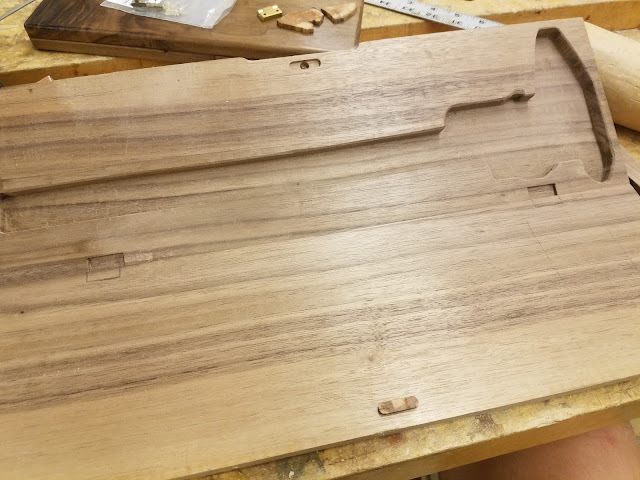 Here I'm also matching up the ends to mark where the hinges go. Milling out the bezel void with a ball endmill for extra aesthetics. 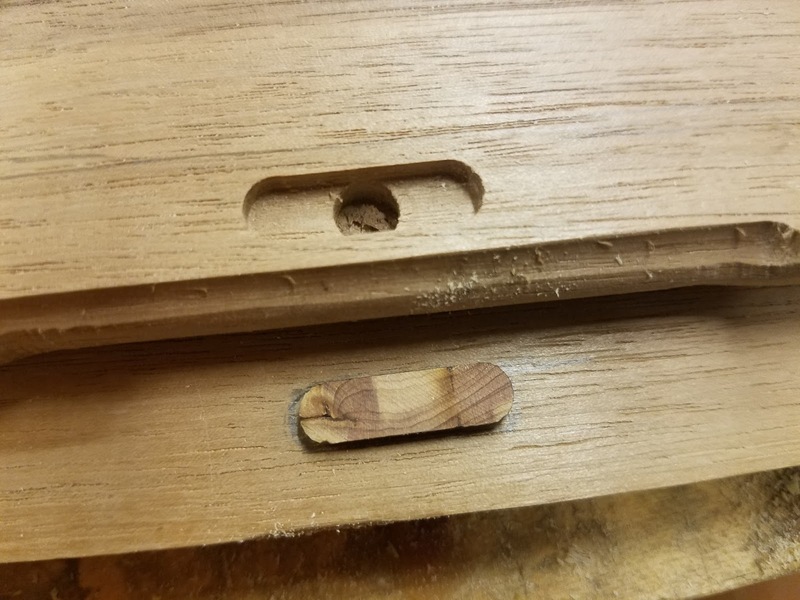 Hinge and magnet mortises happened afterwards. I was lazy and decided to lasercut all my inlay pieces. They are 3/32" thick and would've been a pain.